Tana Toraja is known as "the land of kings" or people in the southern part of Tana Toraja often called it "people of the highlands in the north". 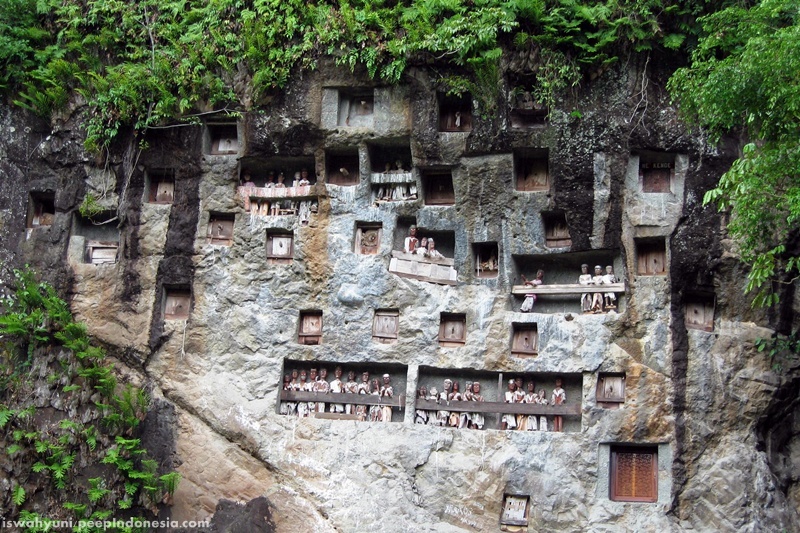 Tana Toraja is located in the South Sulawesi province (Sulawesi Island). This place is one of the tourist destinations in Indonesia, which is famous for its unique customary ceremony. This place is truly a destination that is very unique and beautiful in the world. This is one of the most beautiful places in Indonesia that holds a magical power of Tana Toraja culture extravaganza and Lore Lindu megalithic stones. Tana Toraja tourism does have a unique charm. The cultural heritage that has existed since the days of megaliths can give color and significance for anyone visiting this area. The friendly people, the original and sustainable culture of Tana Toraja make it become one of 15 tourist destinations of Indonesia as well be one of the Indonesian Tourism icons. As a tourist area, Tana Toraja has at least 8 featured attractions with its own characteristics and attractions, respectively. Largely a natural attraction, and some of them are already famous among tourists, both domestic and foreign. Tana Toraja became one of the conservation of cultural proto-Malay Austronesian civilization preserved until now. The cultural customs, arts, language, houses, carving, weaving and culinary are still very traditional and make the Indonesian Government nominate it to become a UNESCO World Heritage Site. Londa, Lemo and Allo Looks are the places where you can look at the cemetery which has been internationally well-known. The cemetery in the rocky walls and caves filled with coffins and human skeletons. The death ceremony held after the harvest over. It is usually held between July and September. While, the ceremonial life held at the planting season on October. It took time about 8 hours for the trip from Makassar to Toraja. The long and tiring trip will be paid, when you arrive in the land of Toraja. Once you come, you will be reluctant to go.